* Catherine Rolling has added a third book to her Christmas Impressions series. * With levels ranging from Early Intermediate to Late Intermediate, these collections feature traditional pieces arranged in a style perfect for the family. 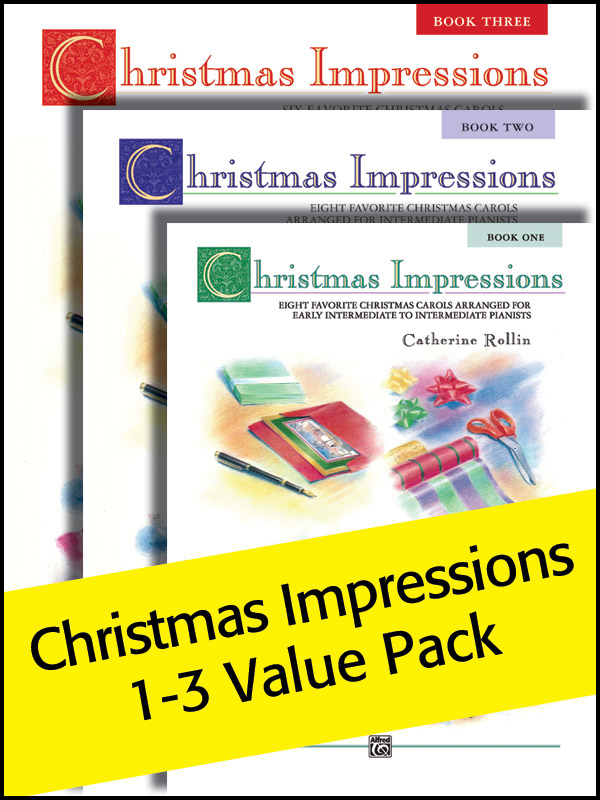 * This Value Pack contains Christmas Impressions 1-3 (6566, 6682, 41464).